You’ll have to forgive me for stealing this phrase from Carly Simon and The Spy Who Loved Me, but I couldn’t help it. I really like the song, for one. 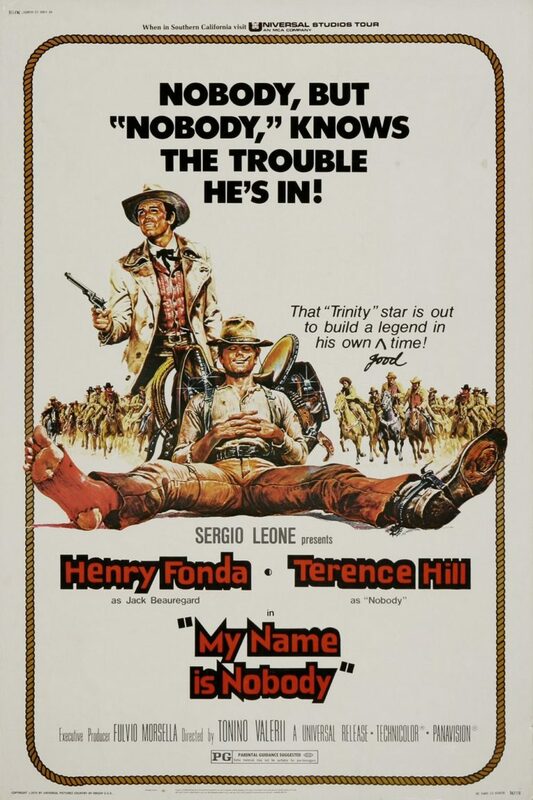 And it totally could be misappropriated as the theme song for My Name Is Nobody, a classic spaghetti western comedy “presented” by none other Sergio Leone. 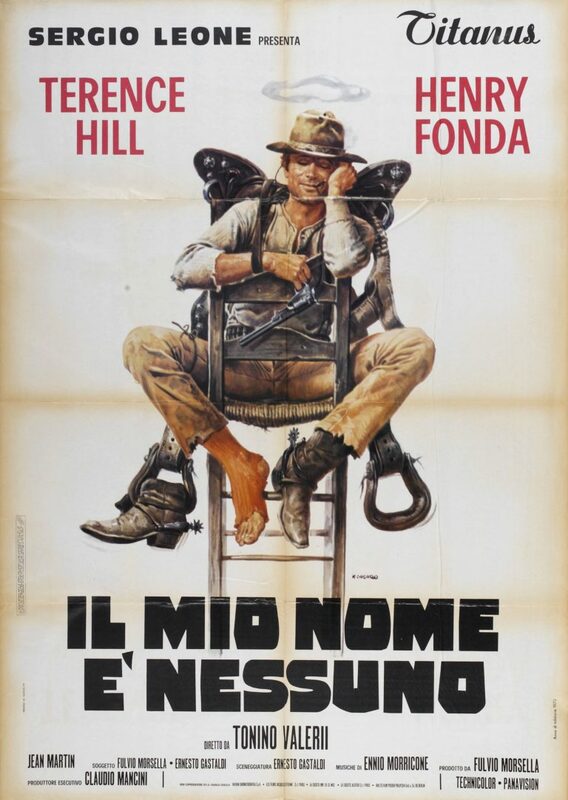 It is based upon his concept and Leone is credited as one of the writers. If rumors are to be believed, a lot of this movie was also directed by the master himself). 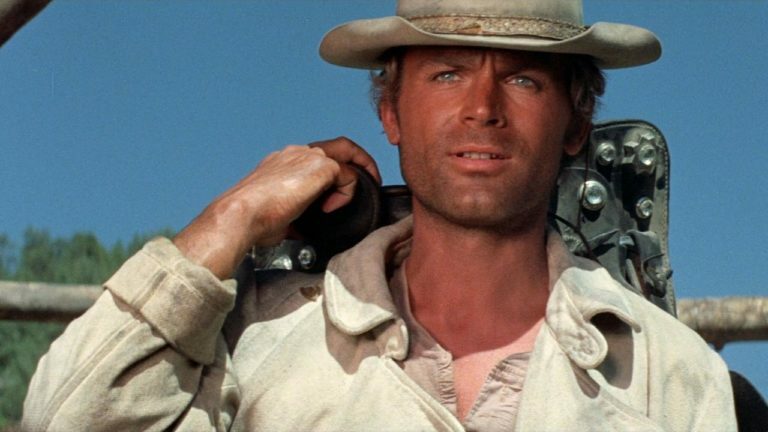 Nobody does it better than Leone. 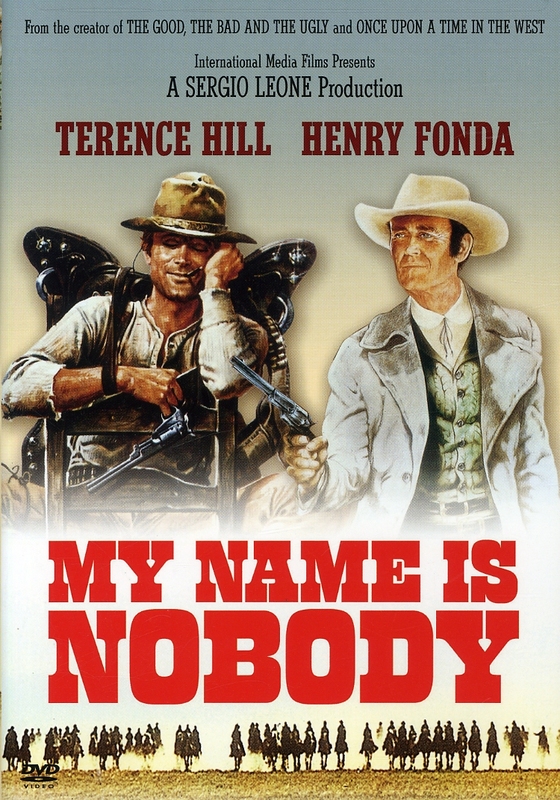 In this movie, the titular “Nobody” is played by Terence Hill. Nobody is the only name he’s given, unless you count “Nessuno”, but that’s just Italian for nobody. Hill can be an acquired taste for some, one I acquired through his virtually identical role in Call Me Trinity and Trinity is STILL My Name. Hill pioneered his particular brand of slapstick in Django and the Trinity movies, one which still strikes me as damn funny. Not genius, exactly, but still pretty funny. And Hill is “Genius” in an entirely different film. Opposite Hill is none other than Henry Fonda. From early roles in Jesse James (1939) to How the West was Won (1962) to Once a Upon a Time in the West (1968), Fonda has played iconic cowboys, including a run on the television series “The Deputy” in the early 60s as Marshal Simon Fry. 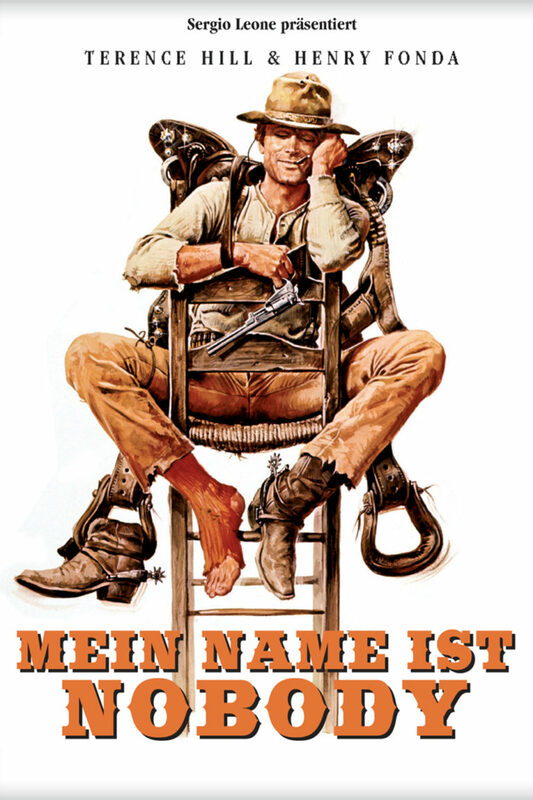 Here, Fonda is Jack Beauregard, a famous–or infamous–gunman who wants nothing more than to retire. He has a boat waiting in New Orleans to take him away and out of the game forever. His plan gets sidetracked by various complications, including a dead brother, an old gold mine, duplicitous business dealings, and about 150 gunmen. Beauregard’s talents as an exceptional gunmen are constantly called upon to keep him alive … and he is as fast as they come. So who is faster than Jack Beauregard? Nobody, of course. Characters use every possible opportunity to work this joke, or variations of it, into the dialogue, the double meaning lost on everyone except Nobody and us, the audience. 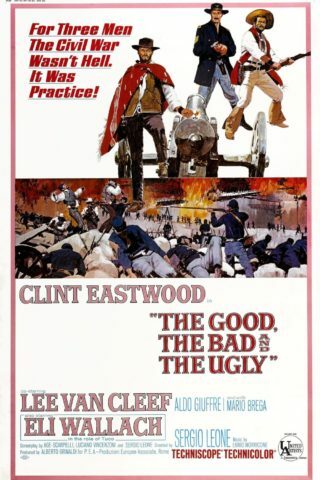 Publicity for this movie emphasized Sergio Leone’s involvement, and he did direct some parts, including the opening scene and the explosive showdown. Tonino Valerii was the director for most of the rest. As it often goes with Hollywood, however, Valerii usually gets too little credit for the resulting film and Leone too much. Those upside-down pistols of yours really worry me. The music is provided by Ennio Morricone, the composer of too many spaghetti western soundtracks to count, including pretty much every film Leone ever made, and more scores for more movies than one would ever imagine in the “cult” category. The man is prolific as hell and continues making movie music today, recently contributing to the score for Quentin Tarantino’s The Hateful Eight. 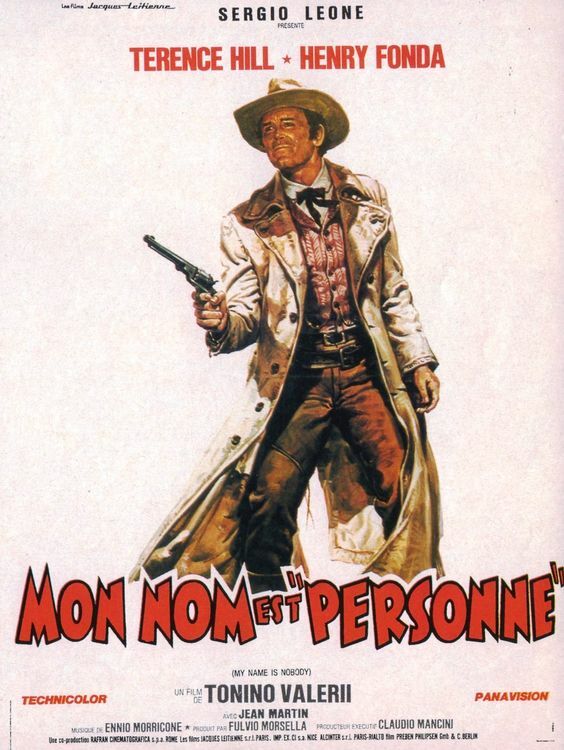 Word is that Morricone intended the music as a spoof of his earlier work for Leone and, to be sure, some of it is kind of silly and strident. Even so, the soundtrack is a memorable piece of work. There is a pretty good story to be found somewhere in this movie. It would also be fair to say the story only serves to string together one set-piece to another, but that would overlook the genuine heart on display. Sure, the plot gives Hill plenty of opportunity to clown around, and Fonda every chance to prove he’s a total badass. But trust me, the story–written in part by Leone–is there. 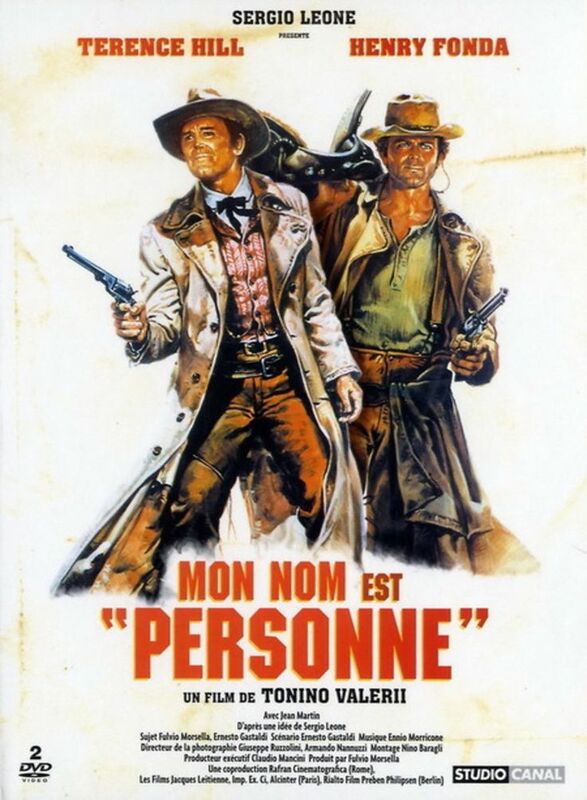 Good production values; great locations; 'A' list (or better) actors in Terence Hill and Henry Fonda; top-notch directors in Leone and Valerii; classic soundtrack from Morricone; surprisingly fun, entertaining and well done story. English dubbing from original Italian; typical over-the-top acting from Hill (but it really does work here); minimal effects and/or gore, bloodless gunfights and mayhem. Weird western circus act; glorified violence; film editing tricks (for comedic effect); silly, but very fun, set-pieces; slapstick humor.